Dr Martin Burkhardt represents parties in commercial litigation and international arbitration. He also sits as arbitrator. His main practice areas are litigation and international arbitration, and private clients, technology start-ups and charities. He was educated at the University of St. Gallen (1988 lic. iur. ), the University of California Berkeley Law School (1991 LLM) and the University of St. Gallen (1996 Dr. iur.). In 1991 he was admitted to the New York Bar and in 1992 to the Zurich Bar. He joined Lenz & Staehelin in 1994 and has been a partner since 2000. 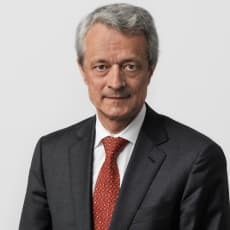 He is a member of the Swiss Bar Association (SAV), the Swiss Arbitration Association (ASA), the New York State Bar Association (NYS BA), and the Arbitration Court of the Swiss Chambers’ Arbitration Institution (SCAI).